Obituary for Flora Jane Goodwin | Boal Funeral Home, P.A. 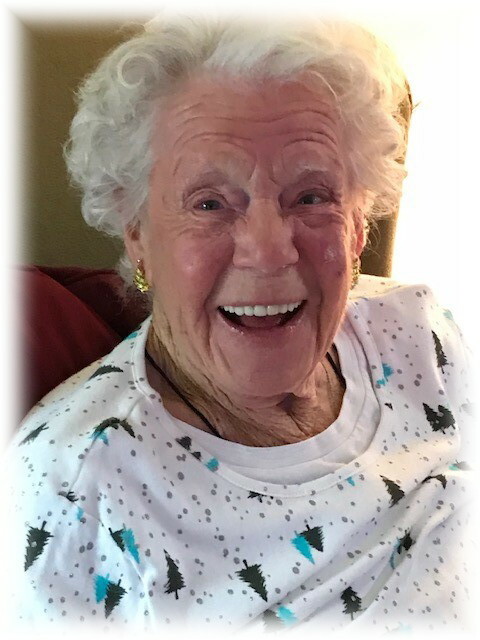 Flora Jane “Snuffy” Goodwin, 90, formerly of Frostburg Heights, and most recently of Martinsburg, WV, passed away Friday, February 8, 2019. Flora Jane was born on September 9, 1928 in Lonaconing and was the daughter of the late Robert Marshall Smith and Bernadette (Nolan) Smith. Also preceding her in death was her husband, Raymond Austin Goodwin. She is survived by three sons, Robert Goodwin and his wife, Vonna of Frederick, Michael Goodwin and his wife, Ginny of Moseley, VA, and Mark Goodwin of Martinsburg, WV. She is also survived by six grandchildren and eleven great-grandchildren. Flora Jane spent 36 years of her life residing in Frostburg at Frostburg Heights, she and her husband were some of the original residents. She was a member of VFW Post #5280 Ladies Auxiliary. Flora Jane enjoyed spending time with her family at the cabin on the South Branch of the Potomac River. Friends and family will be received at the Boal Memorial Chapel, Barton on Friday, February 15th, from 5 to 8 PM. A Mass of Christian Burial will take place at Divine Mercy Parish St. Michael Catholic Church, Frostburg, on Saturday, February 16th at 11:00 AM with Father Edward Hendricks as celebrant. Interment will be in the Maryland Veterans Cemetery at Rocky Gap, Flintstone.